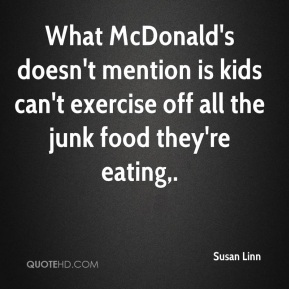 What McDonald's doesn't mention is kids can't exercise off all the junk food they're eating. this is not free money. It's buying advertising. 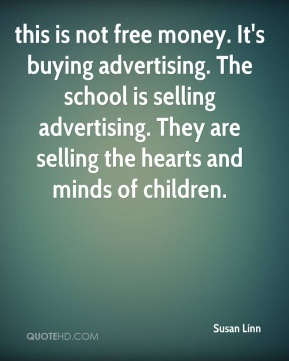 The school is selling advertising. They are selling the hearts and minds of children. 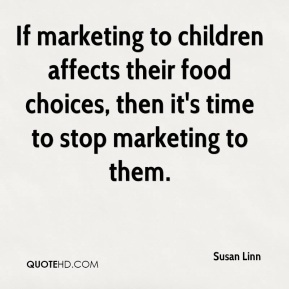 If marketing to children affects their food choices, then it's time to stop marketing to them. 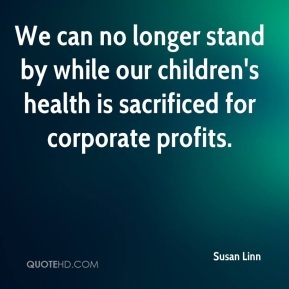 We can no longer stand by while our children's health is sacrificed for corporate profits. 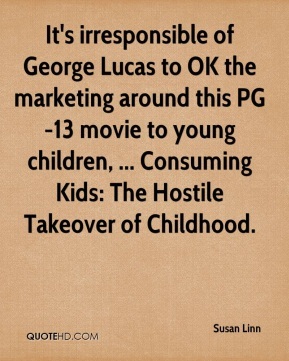 It's irresponsible of George Lucas to OK the marketing around this PG-13 movie to young children, ... Consuming Kids: The Hostile Takeover of Childhood. 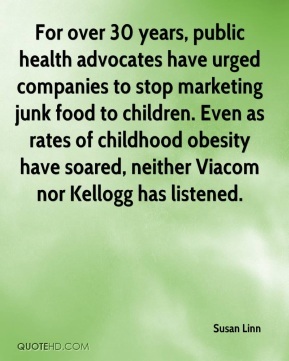 For over 30 years, public health advocates have urged companies to stop marketing junk food to children. 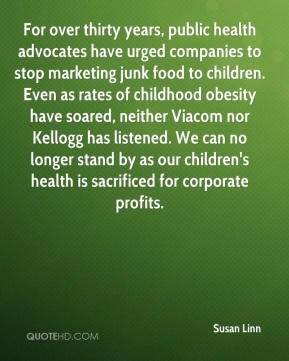 Even as rates of childhood obesity have soared, neither Viacom nor Kellogg has listened. 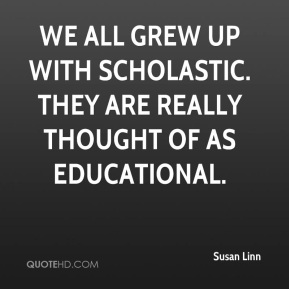 We all grew up with Scholastic. They are really thought of as educational. 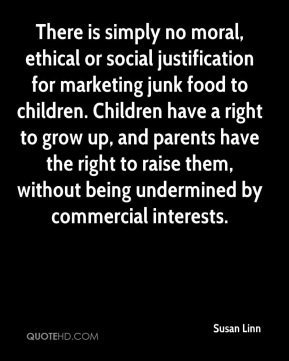 There is simply no moral, ethical or social justification for marketing junk food to children. Children have a right to grow up, and parents have the right to raise them, without being undermined by commercial interests. Essentially it is a betrayal of babies and families. 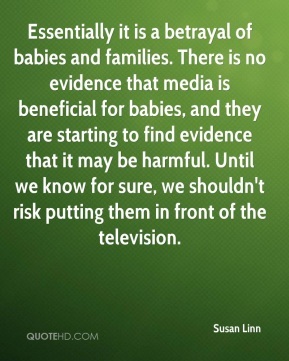 There is no evidence that media is beneficial for babies, and they are starting to find evidence that it may be harmful. Until we know for sure, we shouldn't risk putting them in front of the television. 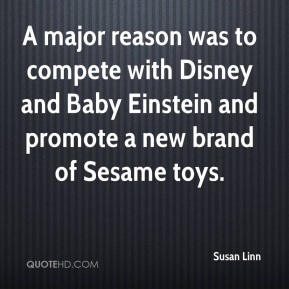 A major reason was to compete with Disney and Baby Einstein and promote a new brand of Sesame toys. We have an ongoing concern that parents and babies are being exploited by the media and market industries. Parents have a right to honest information, and they aren't getting it from these baby-video companies.